In a large pot over medium heat, sauté 1 chopped onion & 1 chopped red bell pepper in 2 tblspns olive oil until soft, 8 to 10 minutes. Add 1 tblspns chopped garlic & 1 tblspn tomato paste, & stir until the paste darkens a bit, 2 or 3 minutes. 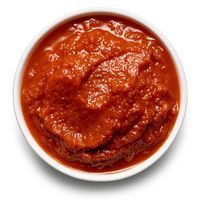 Add one can of tomatoes (roughly chopped, with their juice), ⅓ cup brown sugar, ¼ cup cider vinegar, ½ tspn ground mustard, ⅛ tspn each ground allspice, ground cloves, cayenne and cinnamon, a bay leaf, salt and pepper. Bring to a boil, then simmer, stirring occasionally, until thickened, about an hour. Let cool for a few minutes, then purée in a blender until completely smooth. Taste, adjust the seasoning & store in the fridge for up to 3 weeks. Combine ½ cup soy milk, 1 tsp lemon juice and teaspoon of Dijon mustard in a blender or blend with a wand blender for about 30 seconds. 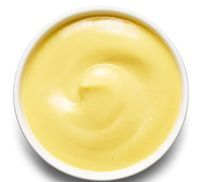 While blending, slowly add in 1 cup canola oil (can use olive or a nut oil) until emulsified and it thickens. Add 1 teaspoon of nutritional yeast, pinch of salt and pinch of pepper and blend. Taste and adjust seasoning as needed. 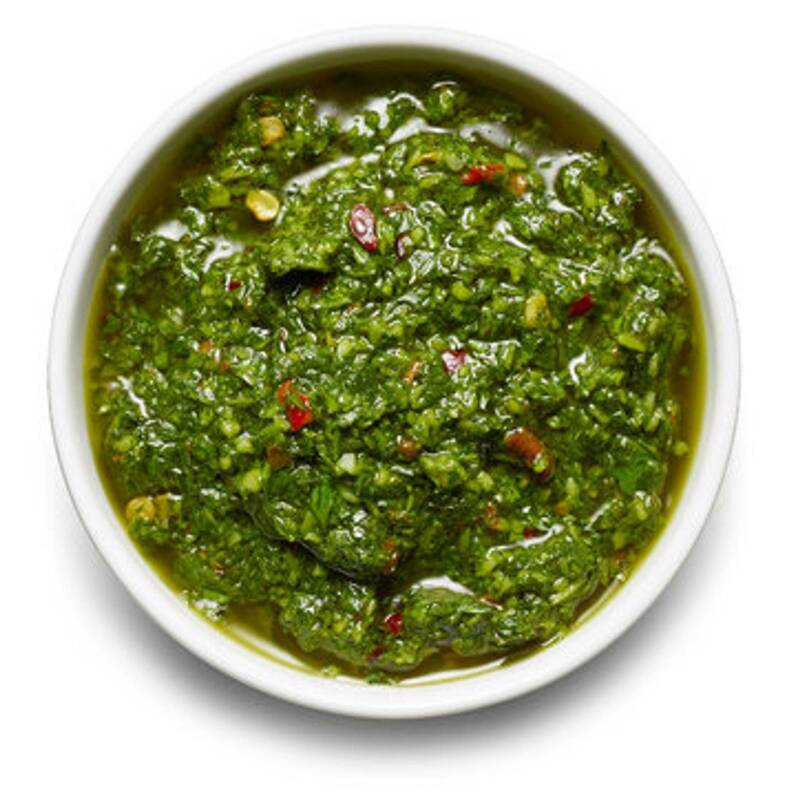 In a food processor, combine 1½ cups fresh parsley leaves, ½ cup coriander leaves, 1 tablespoon fresh oregano leaves, 3 garlic cloves, 1 teaspoon red-chilli flakes, 2 tablespoons red-wine vinegar, 3 tablespoons olive oil, salt and pepper. Process until combined, then stir in 3 tablespoons olive oil by hand. Taste, adjust the seasoning and use immediately. 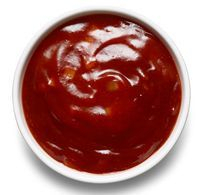 In a small saucepan, combine 2 cups ketchup (the homemade version would be good), 2 teaspoons cumin, 2 teaspoons paprika, 1 tablespoon chili powder, ½ cup dry red wine, ¼ cup cider vinegar, 1 tablespoon soy sauce, 1 chopped onion and 1 tablespoon minced garlic. Bring to a boil over medium-high heat, then lower the heat so the mixture bubbles gently but steadily. Cook, stirring occasionally, until the onion softens and the flavours meld, 10 to 20 minutes. Add salt and pepper to taste. For a smooth sauce, purée in the blender. Store in the fridge for up to a week. 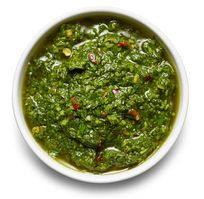 In a food processor, combine ¼ pound hot red or green chiles (like Fresnos, cherry peppers, serranos or a combination), 1 roughly chopped onion and 1 garlic clove. Pulse until finely chopped. 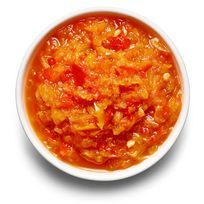 Add 1½ pounds roughly chopped bell peppers (some combination of red, orange and yellow), and pulse until chopped into roughly ⅛-inch pieces. Put ½ cup red-wine vinegar, 1 cup water, ¼ cup sugar and a big pinch of salt in a saucepan. Bring to a boil, then add the pepper mixture and simmer, stirring occasionally, until the peppers are soft and almost all the liquid has evaporated, 20 to 25 minutes. Taste and adjust the seasoning, cool and store in the fridge for up to 2 weeks. Husk 2 ears of corn, and strip the kernels off the cobs(or use 1 can). Put 1 teaspoon olive oil in a large skillet over high heat. 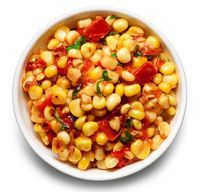 When it’s hot, add the corn, and cook until lightly browned. Lower the heat to medium, and add 1 large chopped tomato, a pinch of red-chile flakes, salt and pepper. Cook for another 30 seconds, then turn off the heat. Store in the fridge for up to a day or two, and serve at room temperature, with some chopped fresh basil stirred in at the last minute. 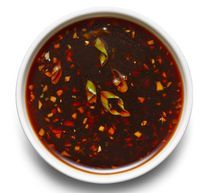 Combine ½ cup soy sauce and ½ cup mirin (or ¼ cup agave necter (or maple syrup or golden syrup) mixed with ¼ cup water) in a small saucepan over medium-low heat. Cook until the mixture bubbles; turn off the heat, and stir in 1 tablespoon minced ginger, 1 teaspoon minced garlic and ¼ cup finely chopped scallions. Store in the fridge for up to 2 days.